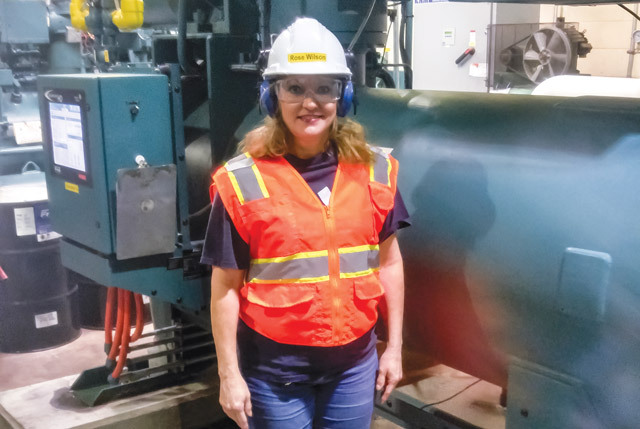 Machinery lubrication has always been fundamental to Rose Wilson’s way of life. At a very young age, her mother taught her how to oil a sewing machine. She also had to maintain oil in her family’s lawnmower as part of her chore of mowing the lawn. Her father operated a farm, so maintaining equipment from tractors to gates was imperative. Now working as a process safety management/risk management program (PSM/RMP) coordinator, Wilson uses her knowledge to create step-by-step procedural instructions and implement corporate initiatives. Q: What's a normal work day like for you? A: A normal work day consists of reviewing the elements of the government’s mandates for my position. I sift through procedures, investigations, curriculum and drawings. From that, I can determine what needs to be developed or revised. Finally, I create and implement special projects that make the process safety management methods phenomenal. Q: What is the amount and range of equipment that you help service through lubrication and oil analysis tasks? A: In an industrial ammonia refrigeration process, we use a large range of equipment and components for expansion, evaporation, compression and condensation. The entire system is affected by the adding and draining of oil. Oil analysis reports evaluate the condition of the fluid and provide recommendations, such as “change the filters and sample again in 1,000 hours.” The reports also allow you to compare past test results. A: In our ammonia refrigeration system, oil is of extreme importance to the functions of the compressors. Oil reduces friction and wear-and-tear by providing lubrication for the compressor’s moving parts. Currently, we are changing from a medium/heavyweight hydrogenated mineral-based oil for ammonia refrigeration to a premium semi-synthetic, hydro-treated oil designed for ammonia applications. Q: What have been some of the biggest project successes in which you've played a part? A: As a PSM/RMP coordinator, my successes are judged by continuing to ensure that the requirements for the mechanical integrity program are followed for the ammonia refrigeration system, the maintenance procedures are prepared and implemented, and the quality assurance procedures are implemented. I also must confirm that the inspection and testing of the equipment in the ammonia refrigeration system is planned, scheduled, recorded and managed according to good engineering practices, as well as establish and implement procedures to ensure that identified deficiencies are dealt with in a timely manner. 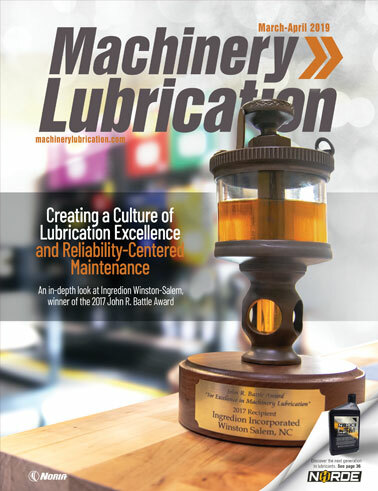 Q: How do you view machinery lubrication in terms of importance and overall business strategy? A: Ammonia refrigeration keeps products cold, which maintains their quality. Ammonia compressors use a positive-displacement compression method. The ammonia vapor enters the compressor with suction pressure and exits the compressor with discharge pressure. This continuous compression process occurs very rapidly and repeats several hundred times each minute. 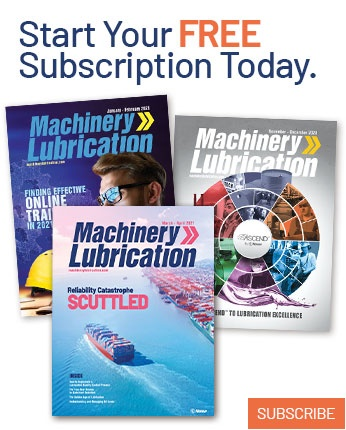 Because of these technicalities, machinery lubrication is of the utmost importance.